has appeared in print and can be purchased via several online stores. 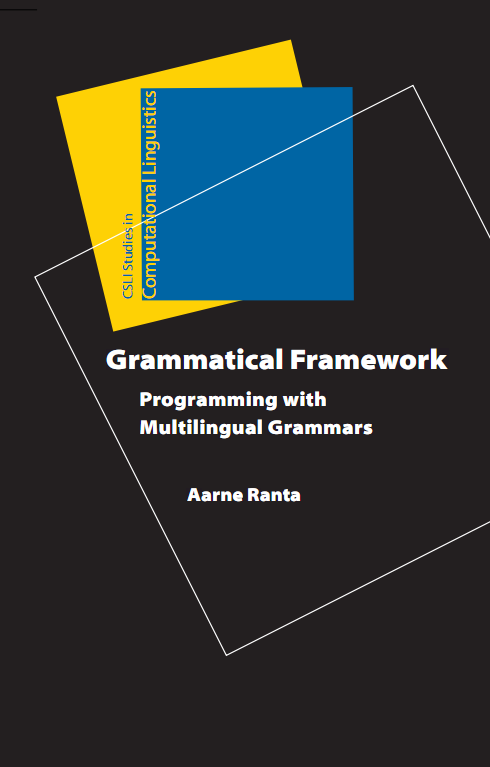 More details are available at the Grammatical Framework book website. Slides, web resources and material related to GF will be uploaded here below.